As Director of Marketing for the Firm, Maureen focuses on the development and implementation of the firm's marketing strategies. She is responsible for the preparation of and cost analysis of the Firm’s marketing budget and requests for proposals. Maureen exercises her creative side by designing the Firm’s award-winning marketing collateral, social media sites and campaigns, internal and external communications, advertising, educational seminars, and social events. Maureen is often seen volunteering in the community and representing the Firm at community events. 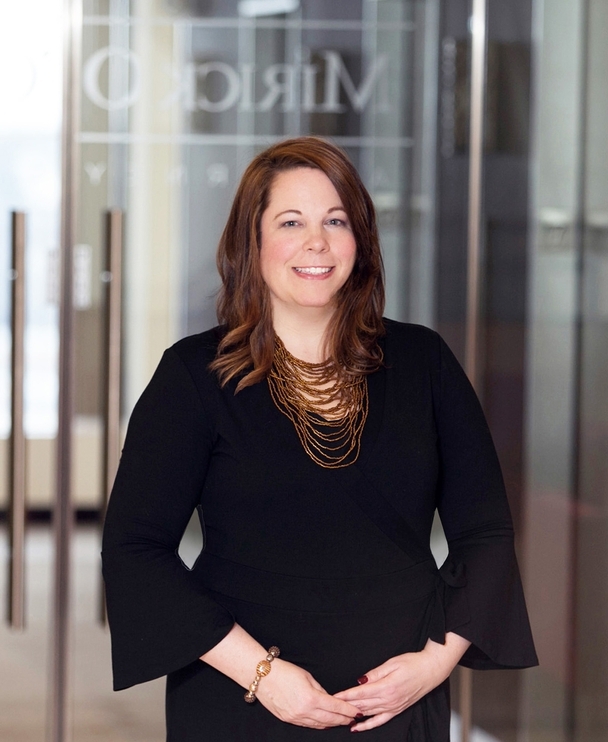 She works closely with the Firm’s Executive Director and administrative team to implement the “Mirick O’Connell Gives Back” program, which encourages firm-wide philanthropy. She also serves on the Firm’s Charitable, Civic, Bar Committee, and spearheads the Firm’s annual United Way Campaign, food drive, winter clothing drive, Go Red for Women event, UMass Cancer Walk team, and is co-chair of Mirick O’Connell’s Central MA Heart Walk team. In 2016, she developed the Firm’s #100ThankYous! initiative in connection with Mirick O’Connell’s 100th anniversary.